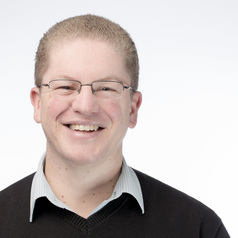 Dr Klaus B von Pressentin works as a family physician within the Mossel Bay sub-district of the Eden district health system, Western Cape Department of Health. This role includes being a consultant to the clinical team, facilitating clinical governance, as well as supervising the training of postgraduate family medicine registrars as their workplace-based clinical trainer. His research interests lie in primary health care, human resources for health, health system strengthening and health professions education. He previously worked as a senior lecturer in the Division of Family Medicine and Primary Care at Stellenbosch University, where he helped coordinate a national EuropeAid-funded project, “Strengthening primary health care through primary care doctors and family physicians”. He completed his PhD under the supervision of Prof Bob Mash in 2017, “Evaluating the impact of family physicians within the district health system of South Africa”. He has also completed the regional FAIMER (SAFRI) fellowship, an international faculty development programme which focuses on leadership, education and research. His voluntary activities include, serving as an assistant editor for the African Journal of Primary Health Care & Family Medicine (PHCFM), serving as board member of The Network: Towards Unity for Health, and contributing to a 2-monthly registrar se ction in the South African Family Practice journal (which is aimed at helping family medicine registrars prepare for the final FCFP (SA) examination).